The future offers a promise of improving safety on our roads with autonomous vehicles, but thousands of lives can be saved with proven technology and strong safety laws now. Let’s get to work. Advocates is hopeful that in the long term driverless cars will be the catalyst for eliminating crash deaths and injuries. In the near term, adopting comprehensive safety laws and using proven roadway and in-vehicle technologies are the safest and surest route to addressing this major public health epidemic. Full Report and Updates since the report release. 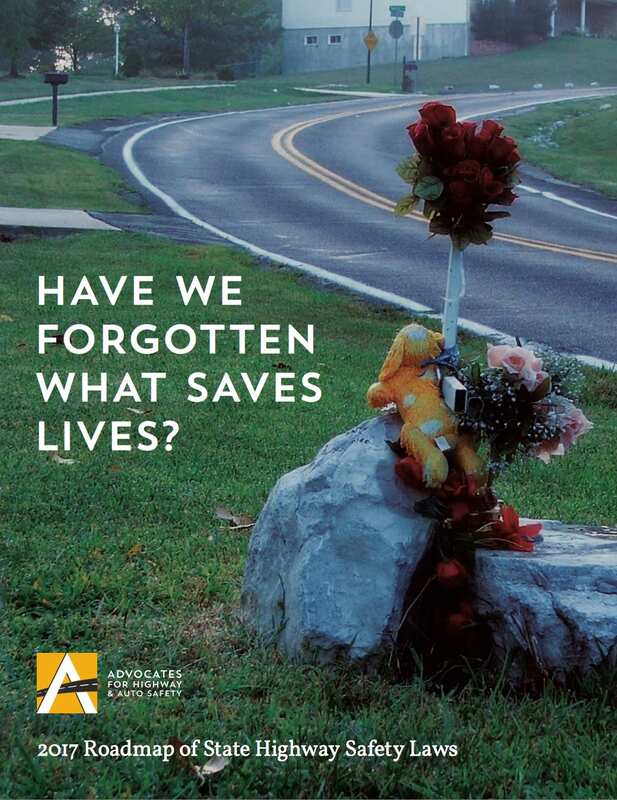 Traffic fatalities are on the rise and state legislatures are missing in action. 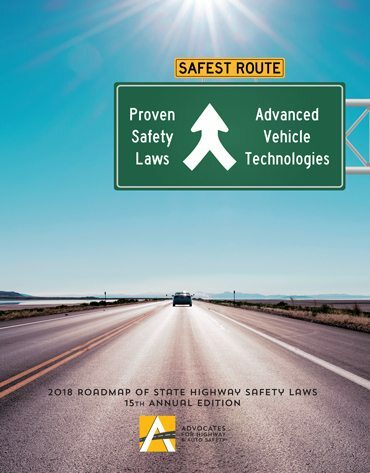 Last year, the fewest number of states passed critical highway safety laws since Advocates’ first Roadmap of State Highway Safety Laws was published in 2004. It’s time for state leaders to get to work. Full Report and the Updates since January 2016. This year’s Roadmap Report puts the spotlight on “Lethal Loopholes” in state highway safety laws — resulting in unprotected drivers and passengers and leading to preventable deaths, injuries and costs. By closing these lethal loopholes we can save more lives. While 2012 highway deaths are up, state legislative action is down. 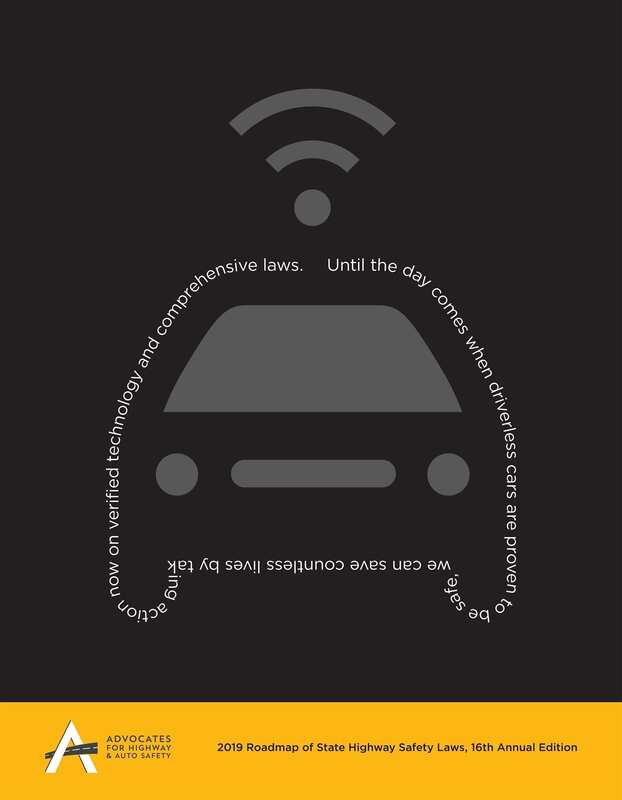 11th annual Roadmap Report highlights dangerous gaps in state traffic safety laws. A major surface transportation authorization bill passed by Congress last summer and signed into law by President Obama on July 6, 2012 includes several important provisions to improve the safety of vehicles, drivers and roads. 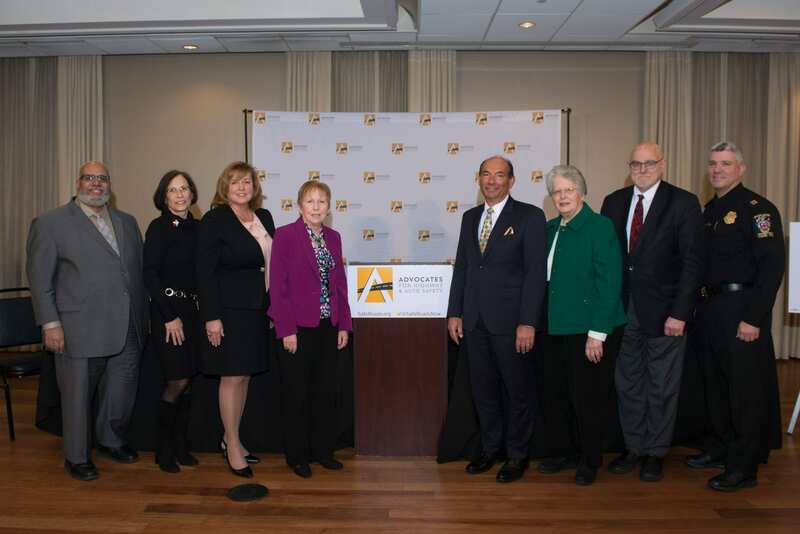 In particular, new incentive grant programs were established to encourage state enactment of comprehensive teen driver licensing laws, ignition interlock laws for all impaired driving offenders, distracted driving laws and occupant protection programs.